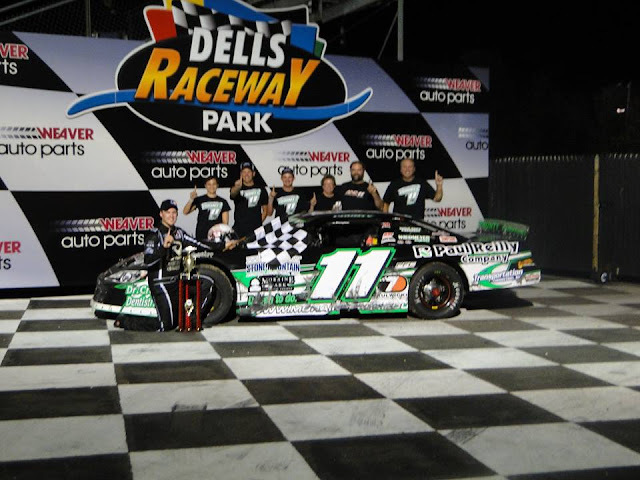 Alex Prunty Racing: Alex Wins 1st Career SLM Feature at Dells Raceway Park Saturday!! Alex Wins 1st Career SLM Feature at Dells Raceway Park Saturday!! Alex Prunty from Lomira, WI captured his first ever Super Late Model Feature win Saturday Night at The Dells Raceway Park in the Shangri-La Campgrounds 50 over the always hard charging Bobby Kendall of Montello WI. 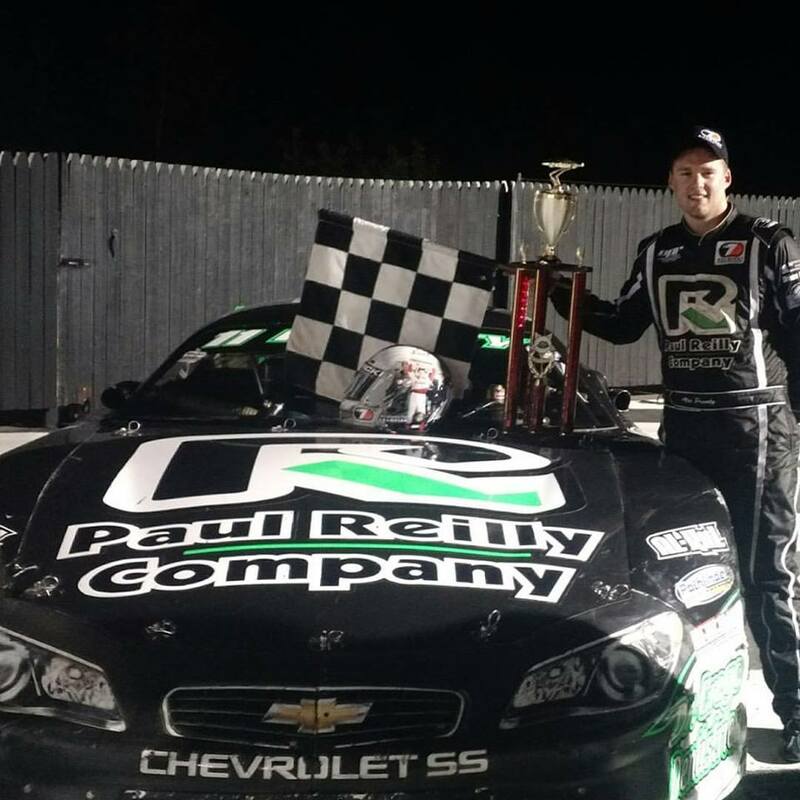 Prunty who needed a win to secure his point lead in the 2016 Kulwicki Driver Development Program, leads the KDDP Point Standings. Prunty holds a slim 12 point lead over Maine's Dave Farrington Jr. and California driver Jeremy Doss is in third. Prunty said afterwards I was relieved to get the win but shaking inside the car as he took the checkerd flag around in a polish victory lap, a tradition started by the late great Alan Kulwicki. The KDDP is a program that has been established by the family of late NASCAR Champion Alan Kulwicki to help worthy drivers along the way in reaching their dreams ¦while at the same time keeping Alan Kulwicki's memory and legacy alive.